How do I make a deposit via my mobile device? Log onto the HomeTrust Bank Mobile Banking App, and simply click on the Deposits tab. The App will walk you through your deposit, step by step. What if I do not see the “Deposits” tab in my HomeTrust Bank mobile app? If you do not see this option within the app, please contact our Customer Care Center at 800.627.1632 for assistance. What do I do with my check after I have completed the mobile deposit? Please confirm the funds have cleared and are no longer pending in Online/Mobile Banking before destroying the check. During your first 30 days as a customer, funds will be made available in two (2) business days if deposited before 7:00 PM. After your first 30 days, $200 will be made available the following business day, while the remaining amount will be available the second business day if deposited before 7:00 PM. 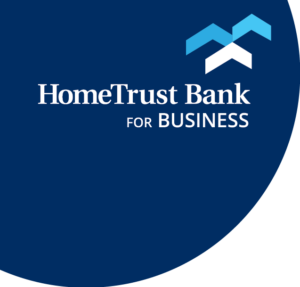 Funds from checks written from a HomeTrust Bank account are available in full the next business day. How will I be able to identify a mobile deposit in my transaction history or on my statement? All deposits made through this method will appear in your transaction history as “Mobile Deposit” and include the date and amount of the deposit.